Sunday, May 12th, 2013…a day that every child and husband should know and remember. Sunday, May 12th, 2013 is Mother’s Day in the United States. While I haven’t yet taken my Mom (and Sophie hasn’t taken her Mom) to Walt Disney World for Mother’s Day, it is definitely something on both of our radar screens to do at some point. While I know that Mother’s Day at Walt Disney World is likely a terrible time to go because of crowds, restaurants being booked solid, and so on, to me, what better way to celebrate all that our Moms mean to us then by sharing the Magic Kingdom, Epcot, Disney’s Animal Kingdom, or Disney’s Hollywood Studios with them for a day – or longer! With the help of my good friend Dave’s Crowd Calendar from the site YourFirstVisit.net, it is apparent to me that while going to Walt Disney World on Mother’s Day may be quite busy, actually going for the week that Mother’s Day falls on isn’t that bad at all — or at least, isn’t projected to be that bad! So for those of you looking to do something to wow your Mom, wife, or other Mother figure in your life, this may be just the ticket you are looking for! And another shot of the Gardens. 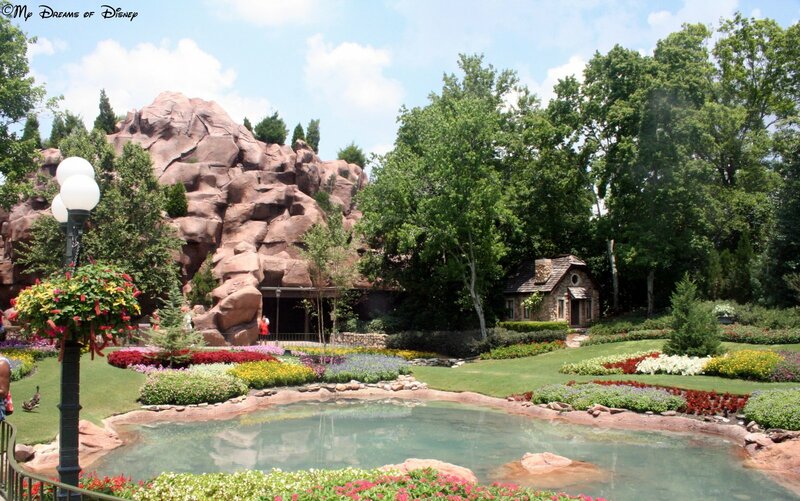 To me, one of my favorite things to do is to just walk around Epcot’s World Showcase. I could really see this as being one of the things to do to make a perfect Mother’s Day afternoon. 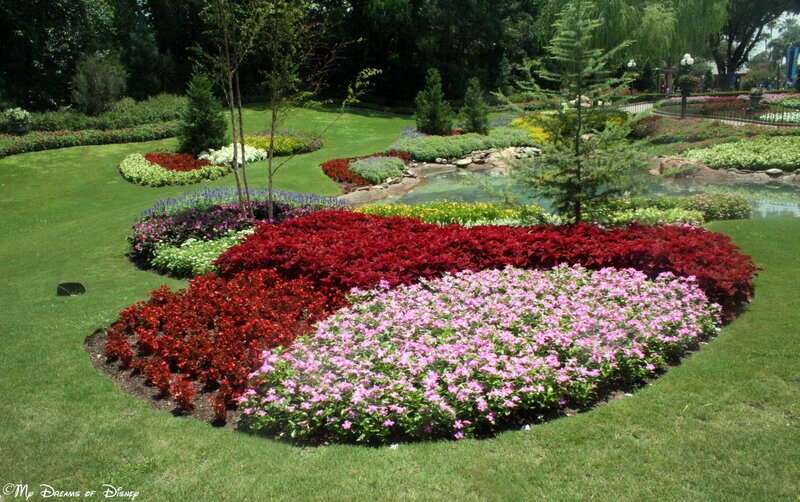 Can you picture stopping to take a look at the gardens of Canada, then going in to watch O Canada! inside the pavilion? Perhaps a Monorail Ride is something you enjoy? Or, perhaps a ride on the monorail is something you enjoy a bit more? 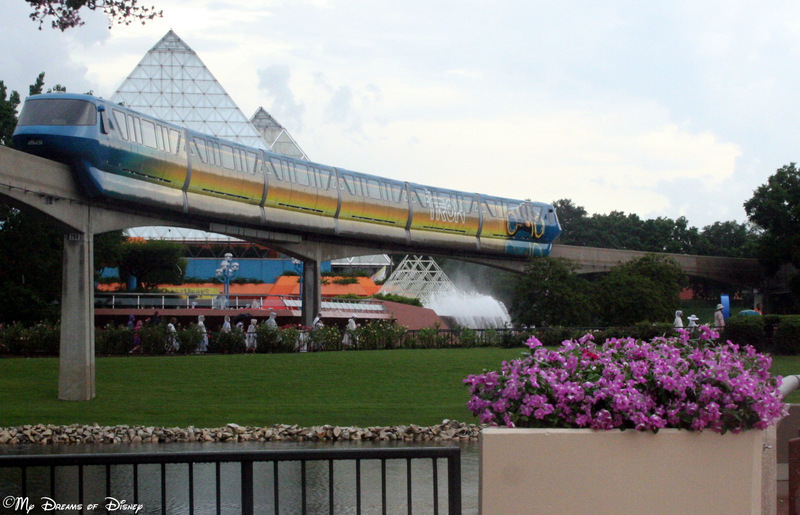 I love the look of this picture, with the flower bed before the lake, and the Tron monorail passing by overhead, this picture just worked out perfectly for me — pure luck, I might add! Or, perhaps you are like Daisy, and shopping is your thing? 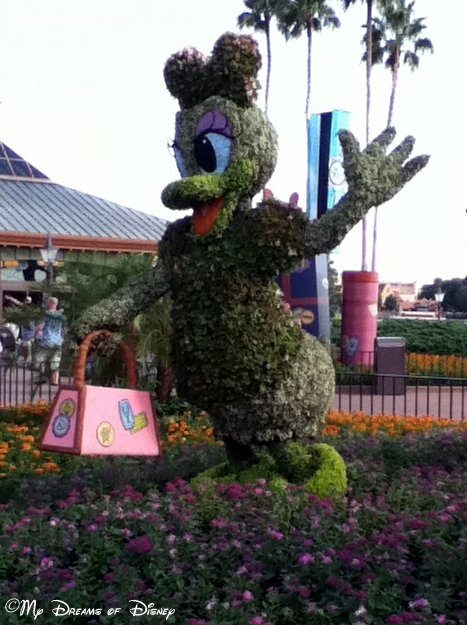 Perhaps, though, you are more like Daisy, and you prefer to shop for something special on Mother’s Day? 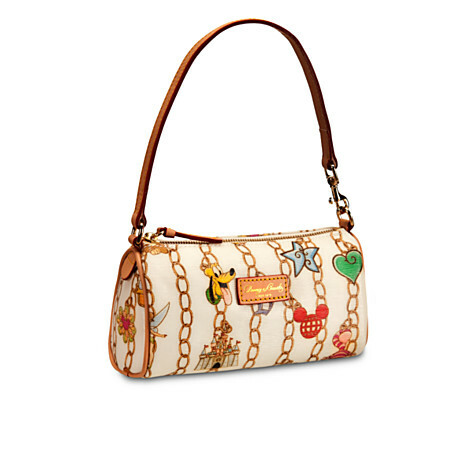 There are a lot of great shopping locations, of course, so take time to purchase that new Dooney & Bourke — and remember, if you buy too much, you’ve always got Donald here to carry your bags for you! 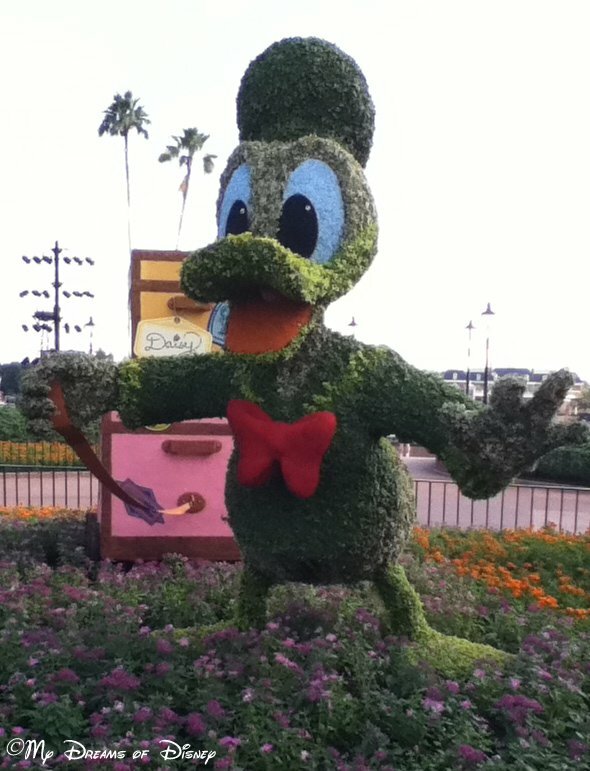 Donald will do anything for his Daisy! So, as you can see, at Epcot at least, there are plenty of things to do — and there will be at the other parks as well! 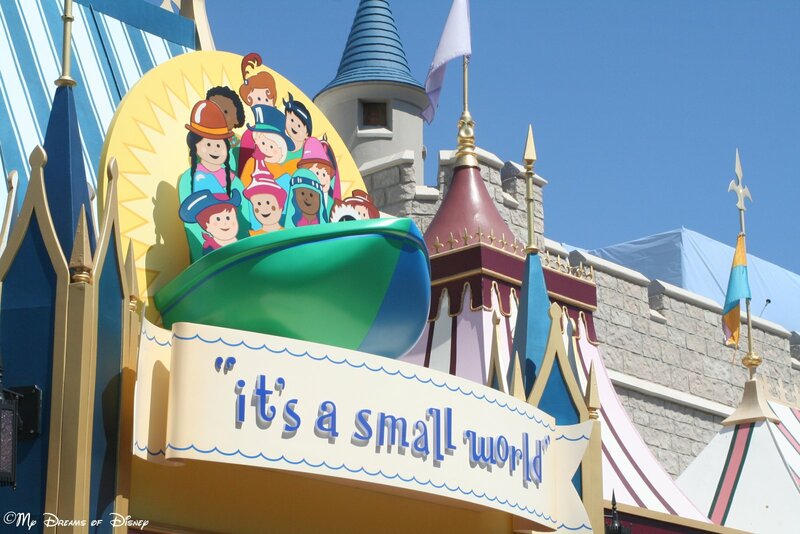 Perhaps a ride on “it’s a Small World” is what you crave right now? 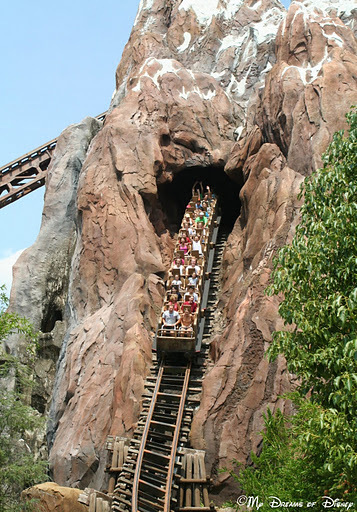 Or, perhaps a ride on Expedition Everest at Disney’s Animal Kingdom is more up your alley? 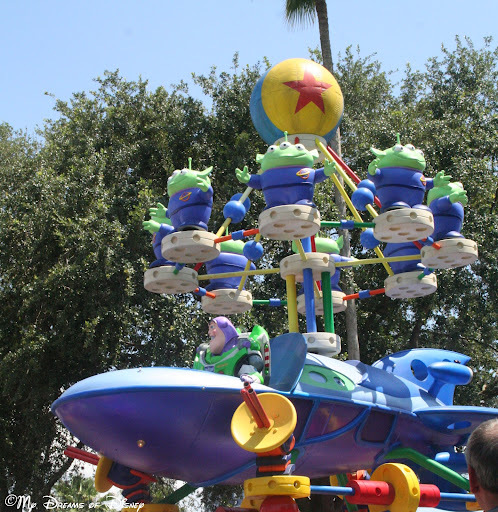 The Pixar Pals Countdown to Fun Parade at Disney’s Hollywood Studios! Whatever you choose to do, you are spending time with your Mom — or in some cases, remembering your Mom — so no matter what you do, whether you go to Walt Disney World or not, it’s a good day…a day to truly remember what your Mom means to you, and to honor her in all that you do. 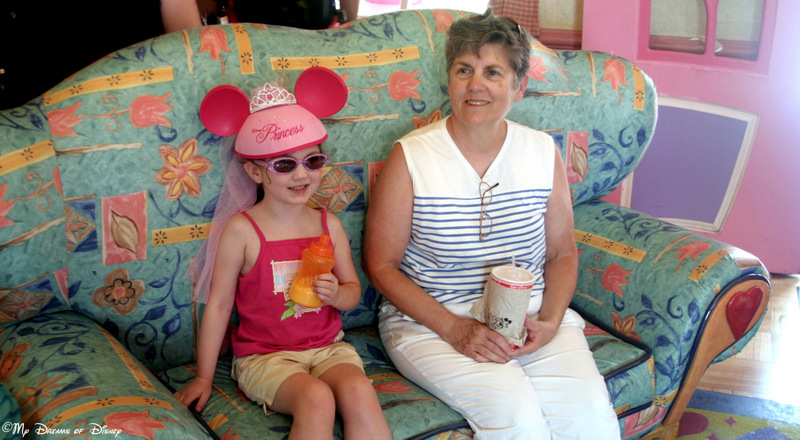 Have you spent the day at Walt Disney World with your Mom on Mother’s Day? If so, how were the crowds? Please comment and let us know, and thanks for stopping by today!